Costa Rica - Page 5. Last updated: 4/6/2007. 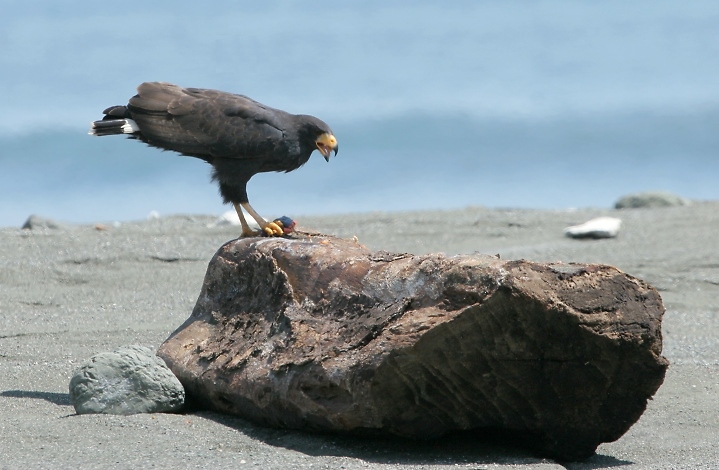 Above: A Mangrove Black Hawk feasts on a crab on an Osa Peninsula beach. 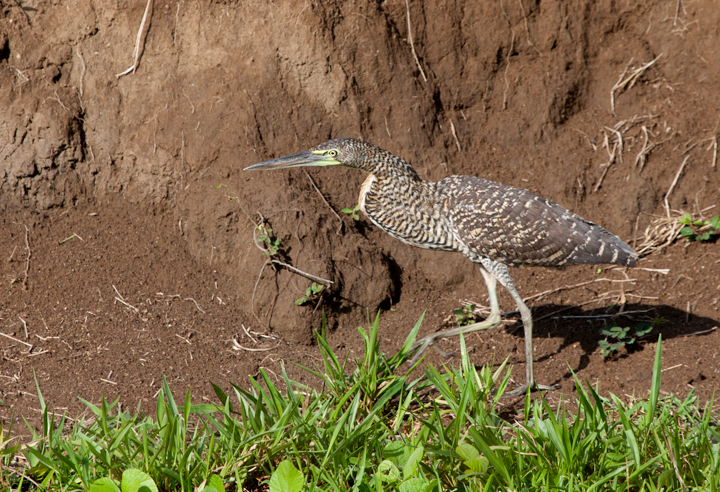 Below: A Bare-throated Tiger-Heron stalks along a wash on the Osa Peninsula. 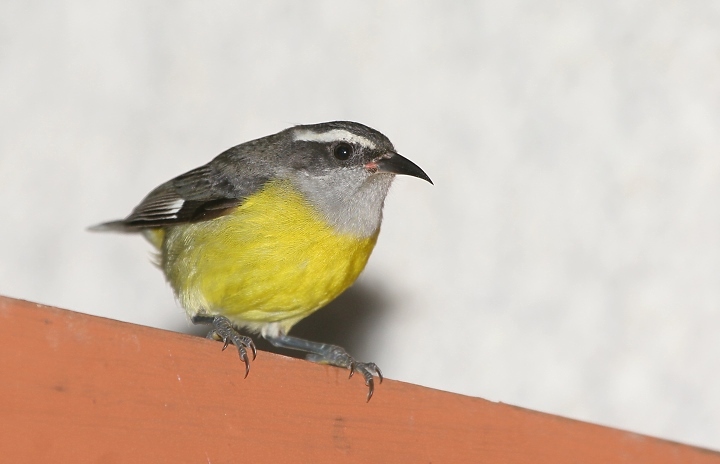 Below: A Bananaquit forages among the hummingbird feeders at Monteverde. 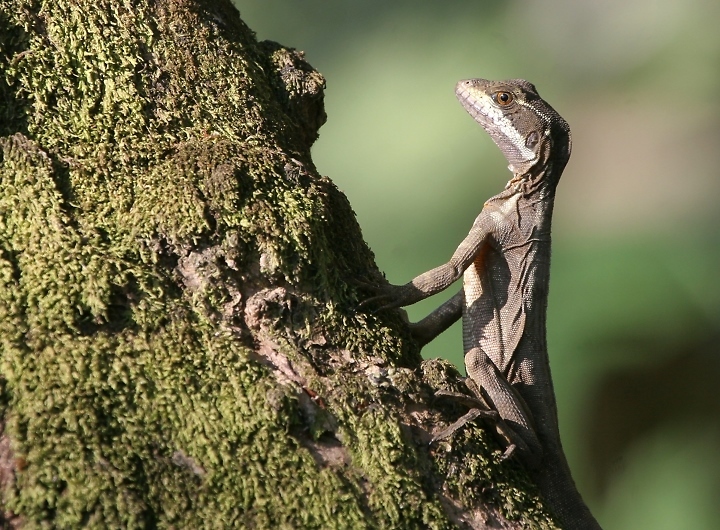 Below: A Basilisk, or "Jesus Lizard," on the Osa. This species runs across the surface of water to escape potential predators. 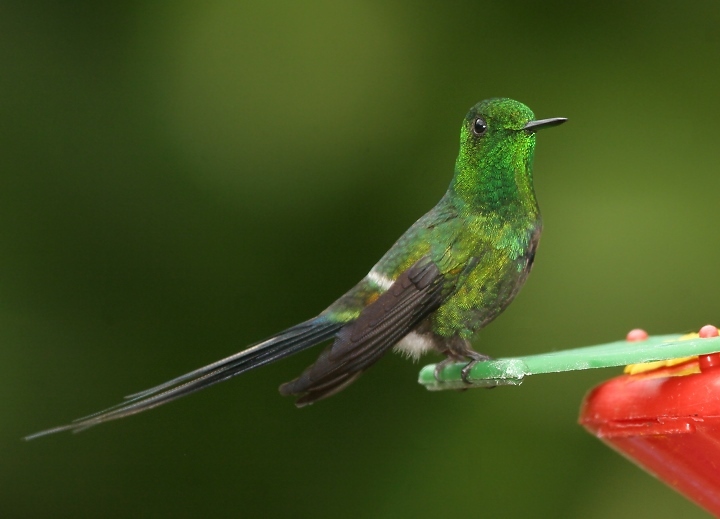 Below two: Male and female Green Thorntails near the La Paz waterfalls. 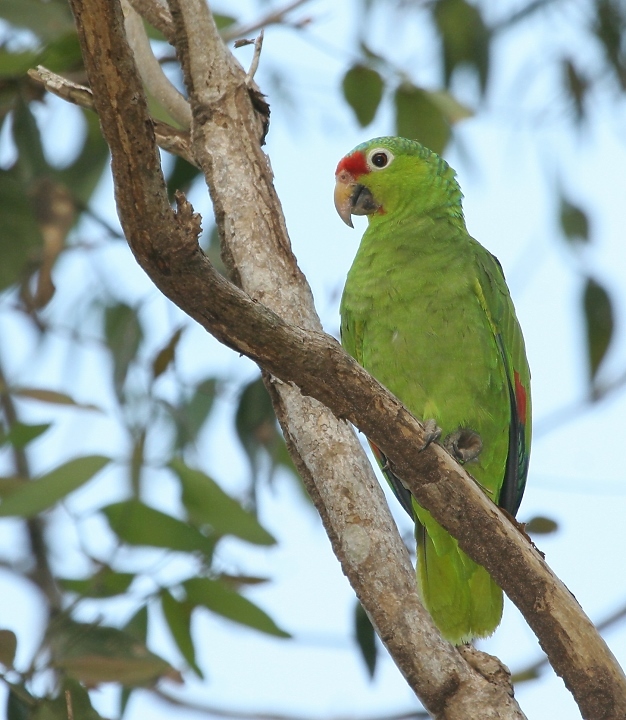 Below: A Red-lored Parrot just after dawn on the Osa Peninsula. 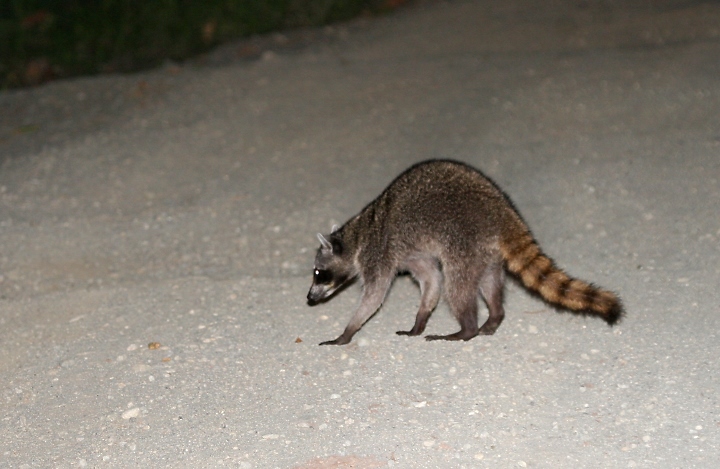 Below: A Crab-eating Raccoon living the good life during crab migration on the Osa. 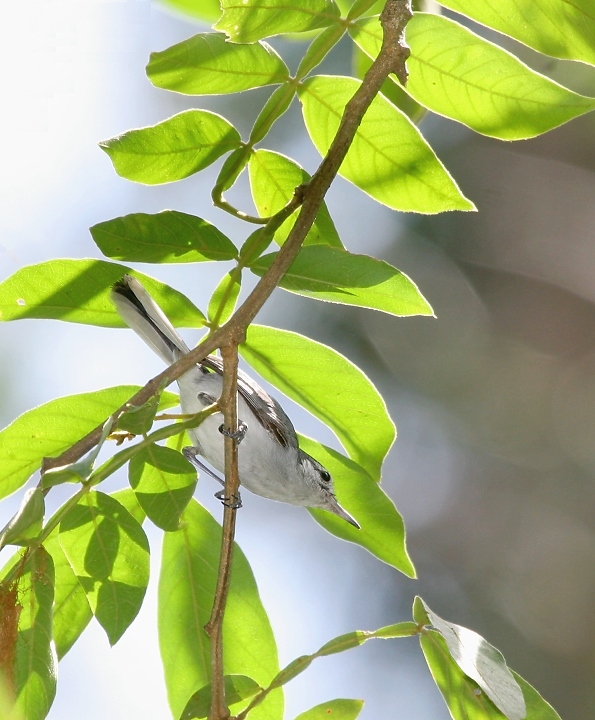 Below: A Tropical Gnatcatcher forages along the Rio Lagarto. 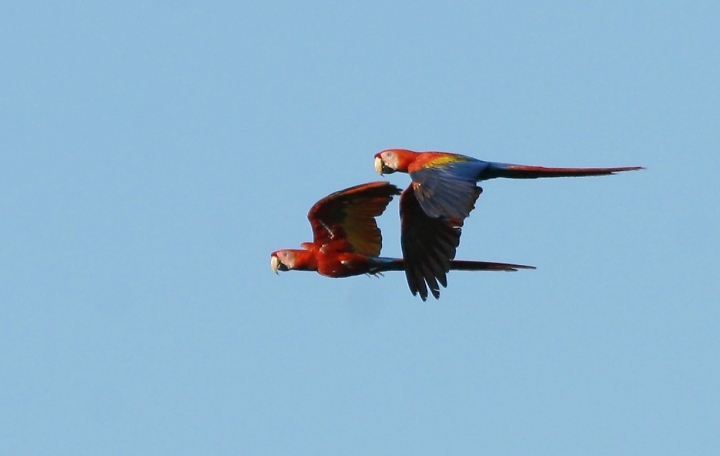 Below: A pair of Scarlet Macaws fly over the Rio Tarcoles at dawn. 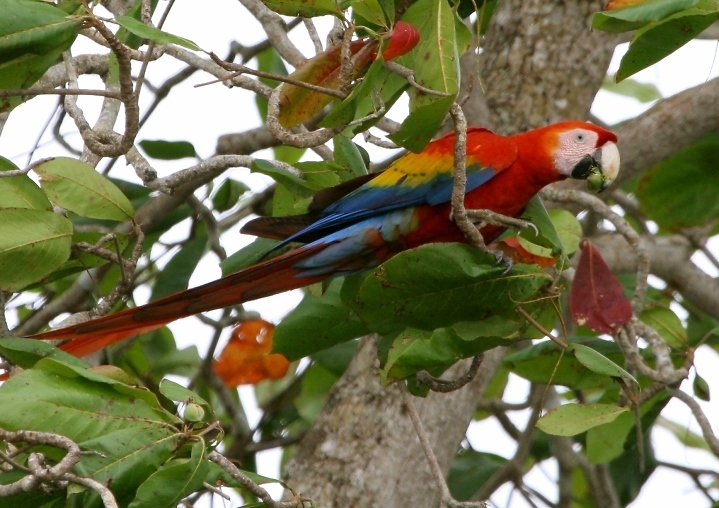 Below: Observing a flock of wild Scarlet Macaws foraging at close range was a delight near the Rio Tarcoles mangroves. 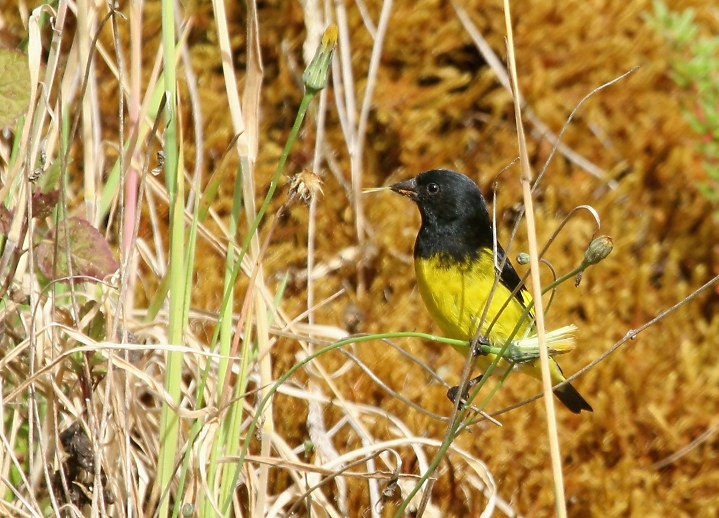 Below: A male Yellow-bellied Siskin in the foothills near Cerro de la Muerte. 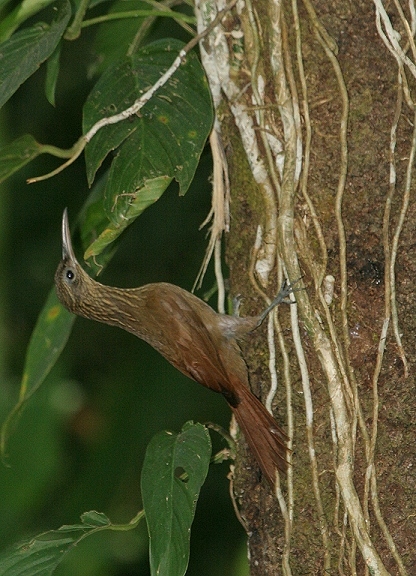 Below: A Cocoa Woodcreeper on the Osa Peninsula. 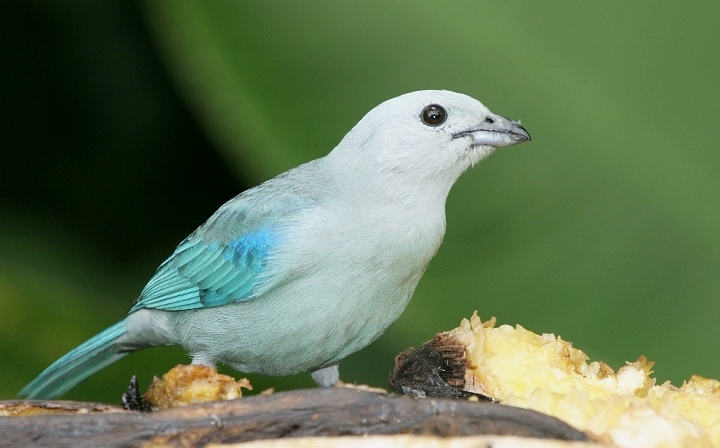 Below: A Blue-gray Tanager feeding near the La Paz waterfalls. 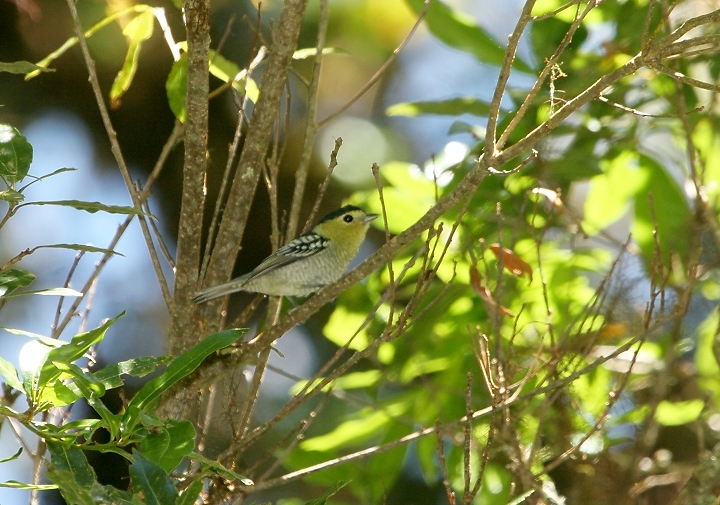 Below: A Barred Becard in the foothills near Cerro de la Muerte. 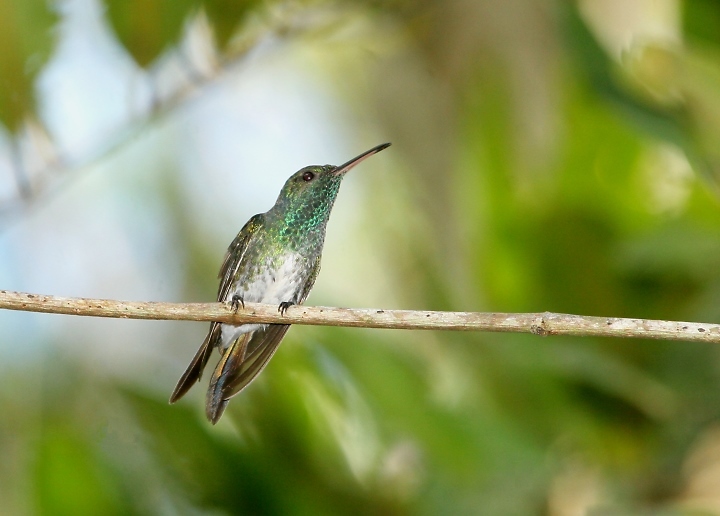 Below: A beautiful male Mangrove Hummingbird. 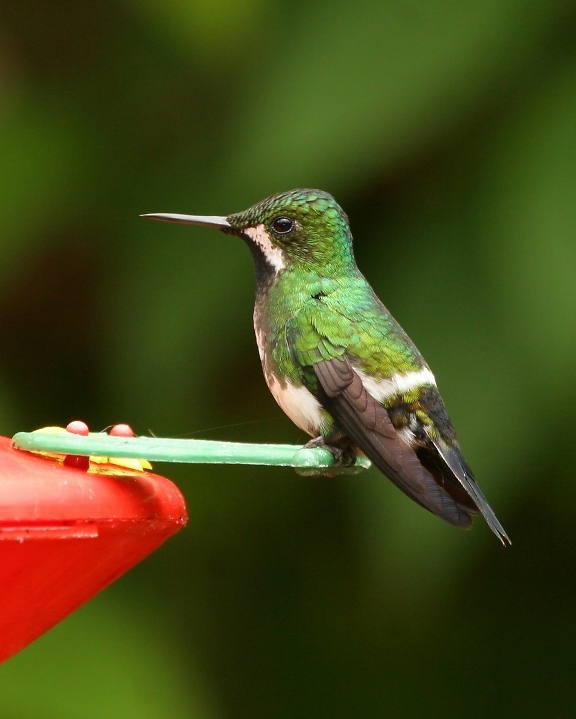 This endemic species is only found in Costa Rica's Pacific mangroves. 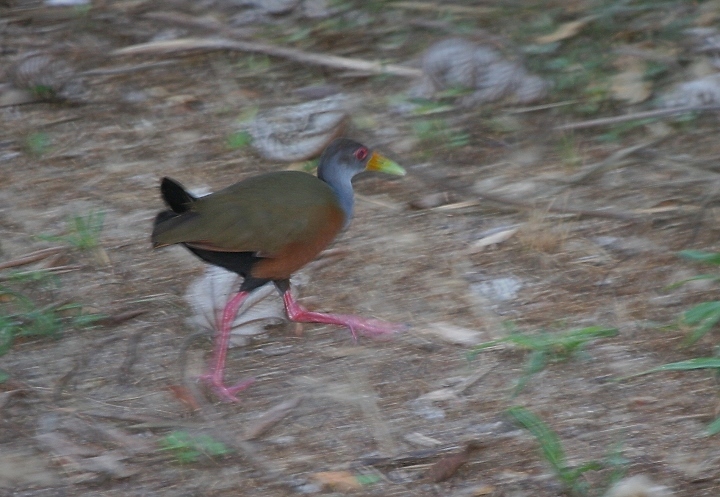 Below: A Gray-necked Wood-Rail stalks across a lowland field on the Osa Peninsula. Although we had several great looks, I'm forced to settle for this entertaining shot. The strange calls of this species were my favorite from the trip. 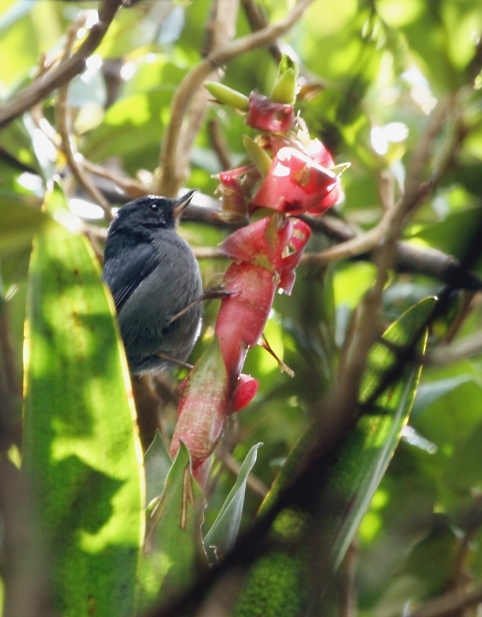 Below: While so many nectar-loving species evolved bills perfectly suited to host flowers, the Slaty Flowerpiercer decided to cheat. It simply tears the base of the flower to steal any nectar it fancies. 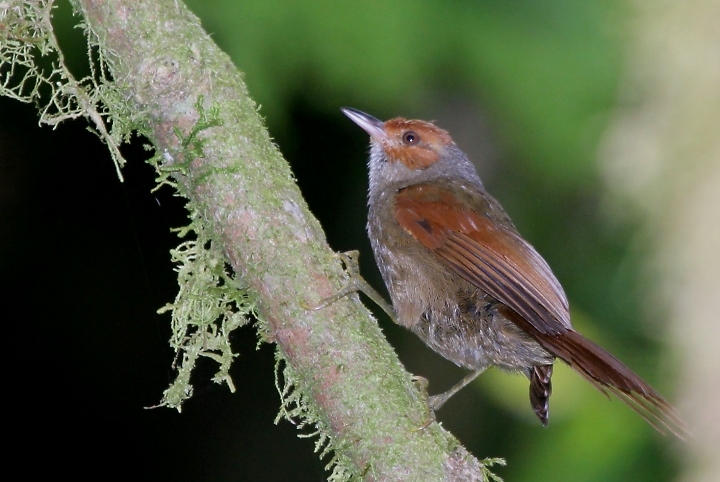 Below: A member of the Furnariid family, the Red-faced Spinetail, near Cerro de la Muerte. 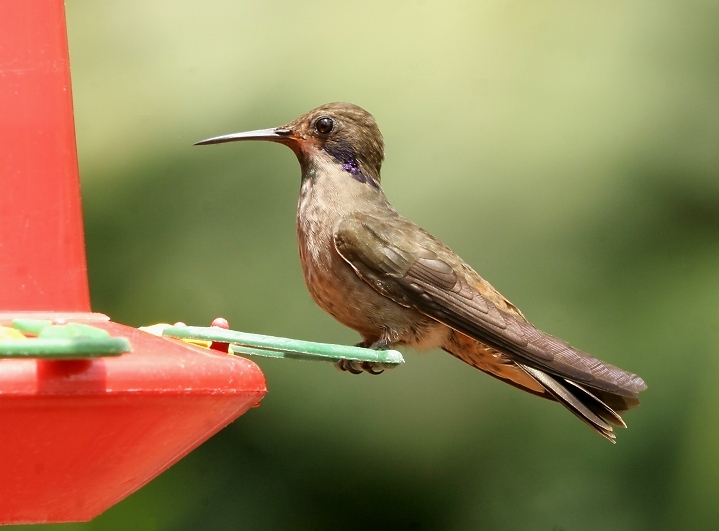 Below: This Brown Violet-ear was a pleasant surprise near the La Paz waterfalls. 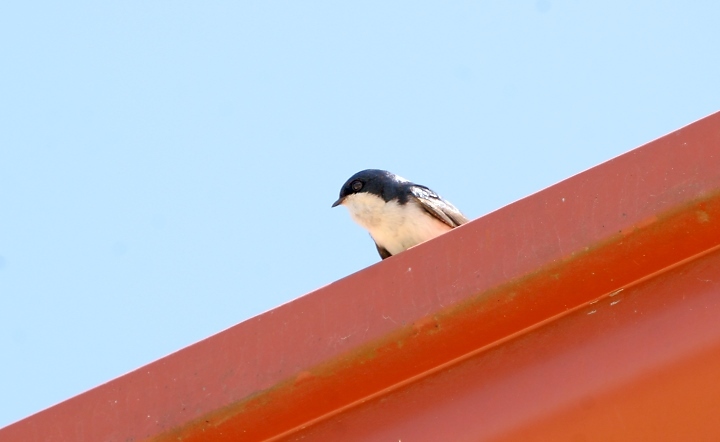 Below: The most widespread swallow we encountered in Costa Rica, the Blue-and-white Swallow. 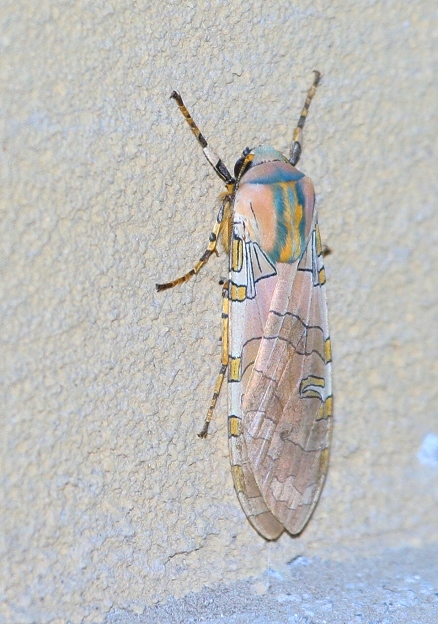 Below: A beautifully marked moth near Monteverde. 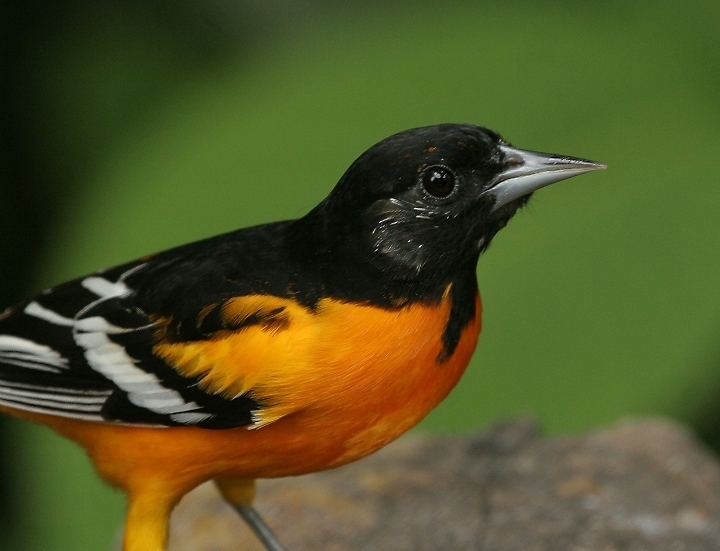 Below: A male Baltimore Oriole near the La Paz waterfalls. 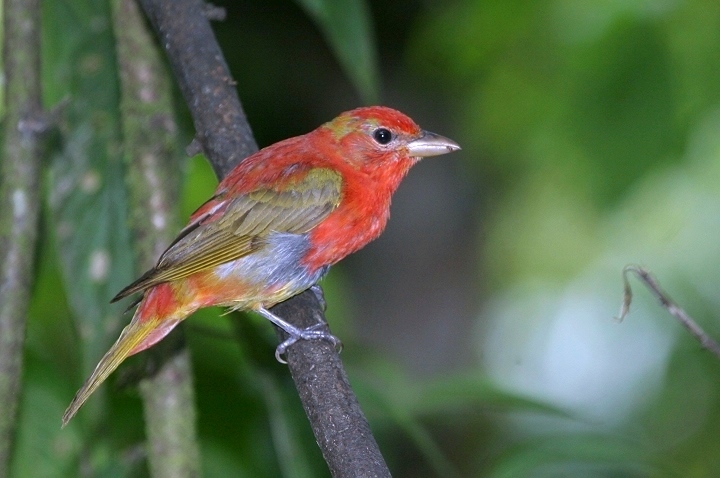 Below: A male Summer Tanager in heavy molt before a long return flight to the Eastern U.S. for nesting season. It was a great pleasure to study many of "our" birds living the good life in tropics during the off season. 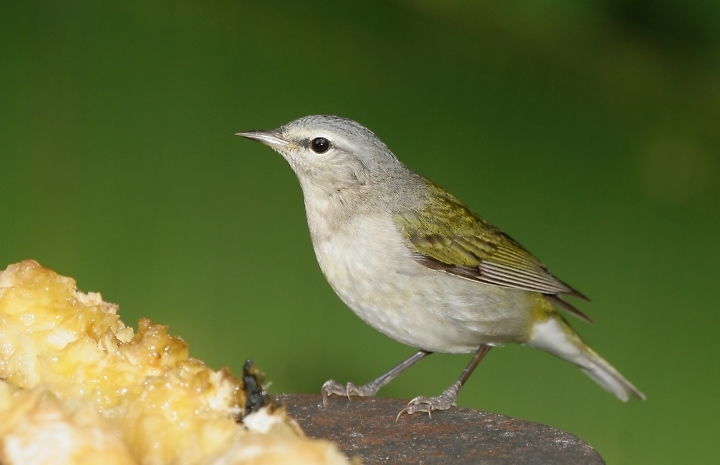 Below: Likewise with this Tennessee Warbler, yet another species drawn to the ripe bananas near the La Paz waterfalls. This was one of the most abundant species of our trip. Below: Even several mammal species were drawn to the bananas at La Paz. 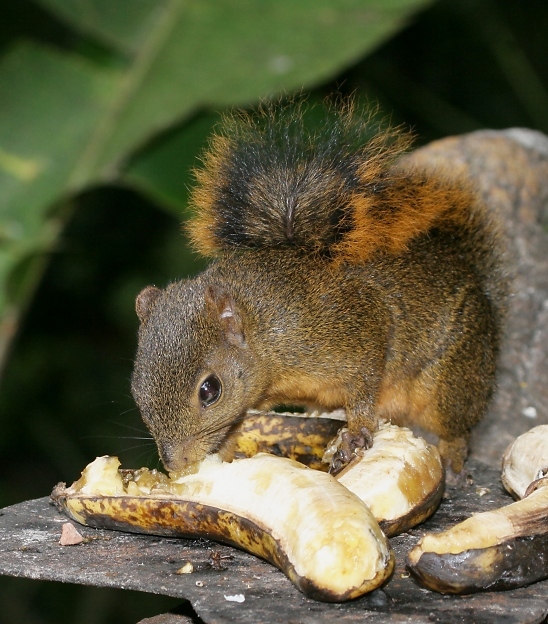 The Red-tailed Squirrel is a widespread species in Costa Rica. 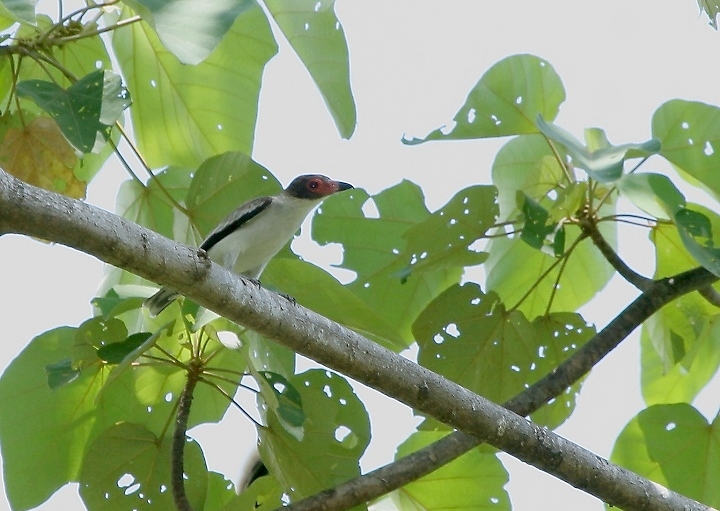 Below: The Masked Tityra is actually a fascinating member of the Cotinga family (Osa Peninsula). 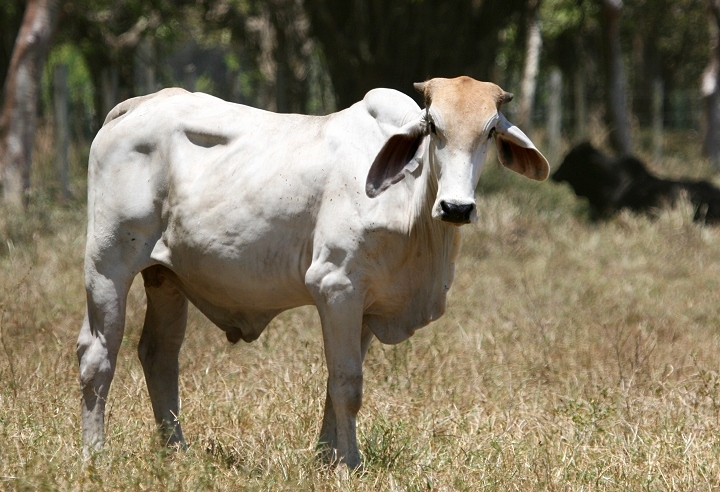 Below: Brahman Cattle are the common breed raised in Costa Rica. 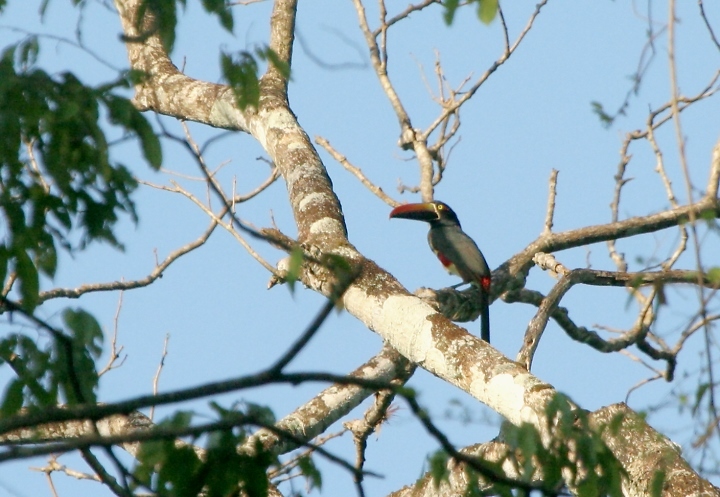 Below: The Fiery-billed Aracari - a stunning member of the Toucan family - was another of my favorite birds of the trip (Carara). 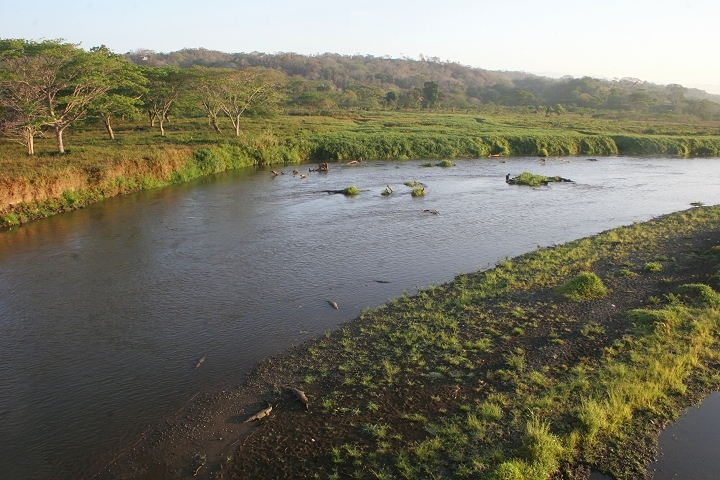 Below: American Crocodiles bask along the Rio Tarcoles at dawn. 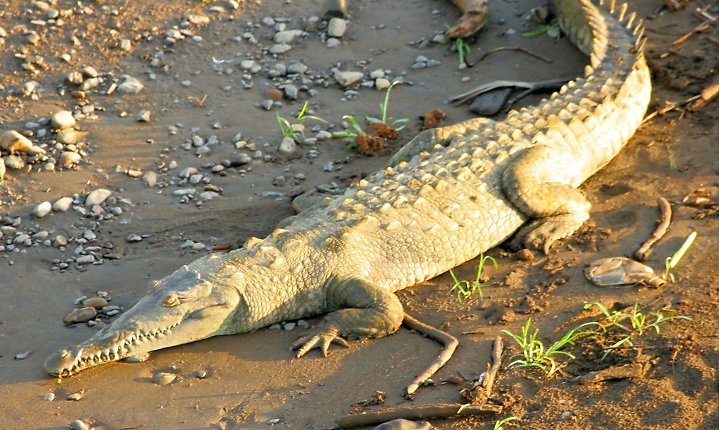 Below: A close-up of an American Crocodile on a bank of the Rio Tarcoles.